What’s in a name? Help name my book! 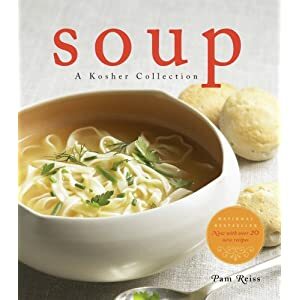 I’m not yet done writing my Passover cookbook, but with self-publishing comes a whole bunch of tasks that I didn’t have to worry about with the first book. I need to get an ISBN number, get it registered with certain sites and libraries and take a look at how I’m going to distribute it or get it sold. As I look through guides that my printer sent and try to navigate Amazon’s Advantage program (it allows self-published authors to list their books), I’m beginning to realize that I have to figure out what I’m going to call this one. When I talk about it, I call it ‘the Passover (or Pesach) cookbook’. Not very catchy. I’ve gone through a long list of titles, but nothing really seems right. This book has a real mix of traditional Ashkenazi recipes and what I would call non-traditional recipes. So “Passover Recipes From My Bubbe’s Table” isn’t an option; nor is “New Age Passover Cooking”. So what I’m going to do is ask you to come up with some suggestions. Send me a title (or several) via email, a comment here, on twitter @pamreiss or Facebook. When I’ve chosen a title, the person who came up with it will get my gratitude and a copy of the book when it’s printed. What about something like: “Passover: Tradition and Beyond”?